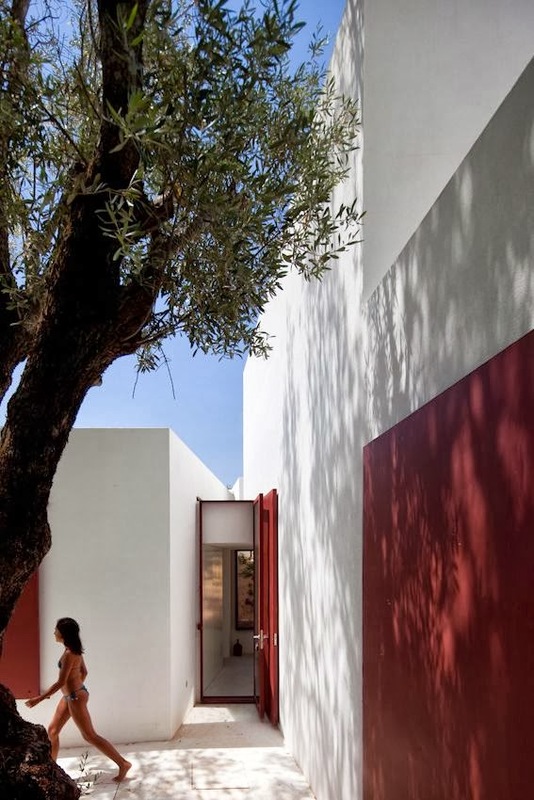 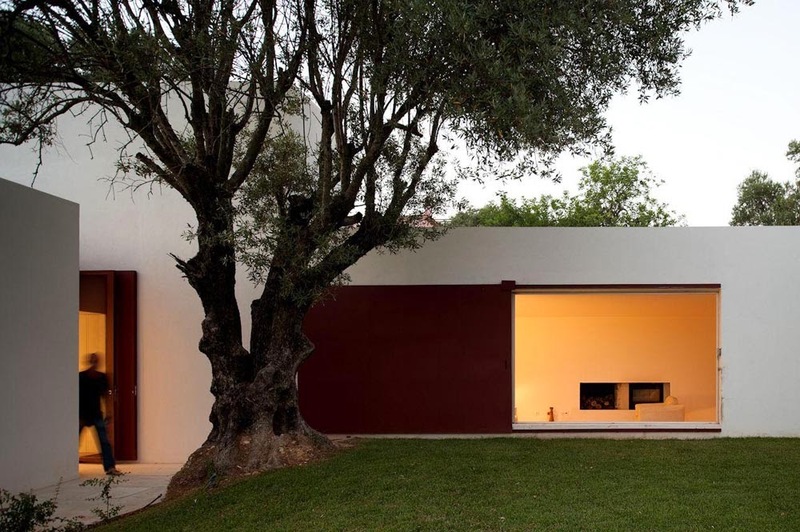 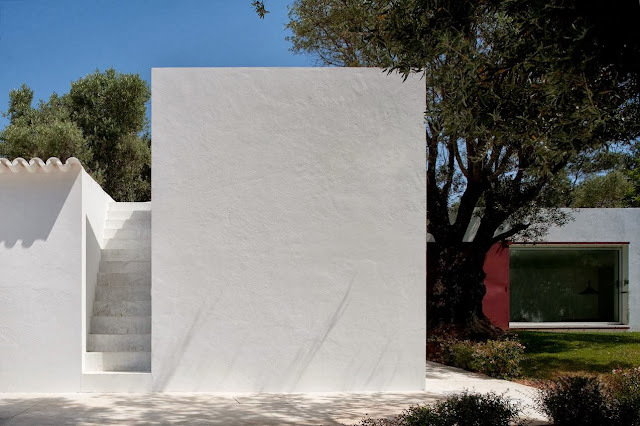 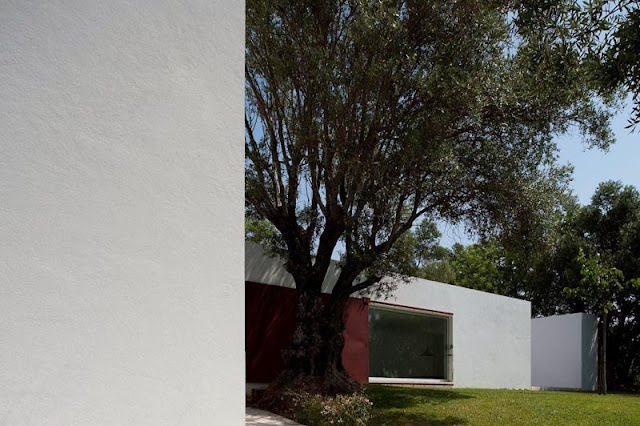 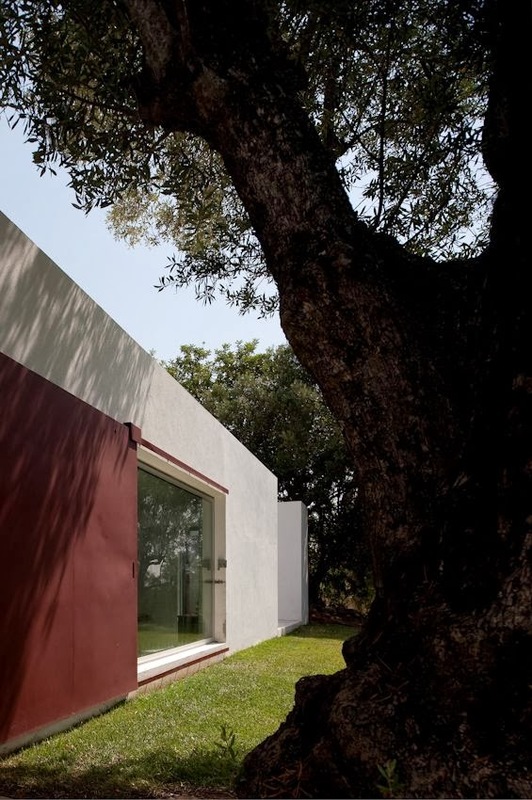 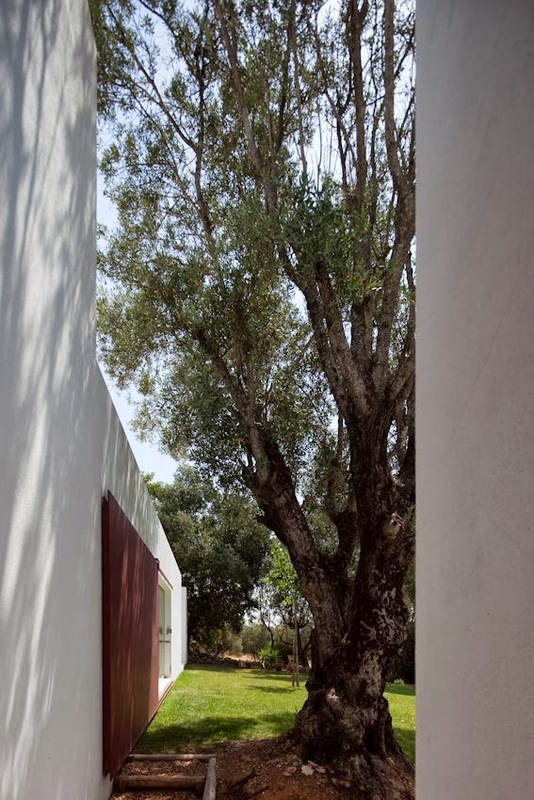 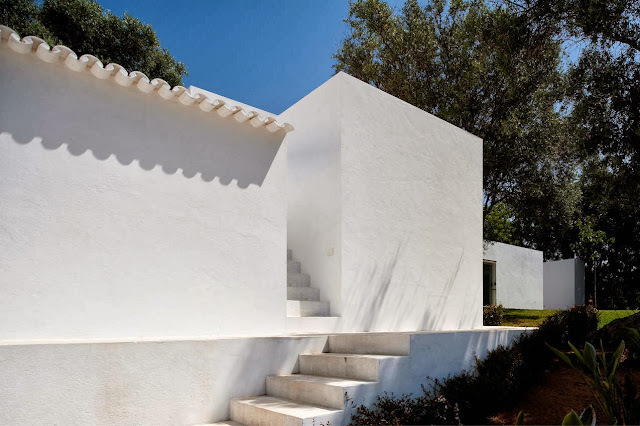 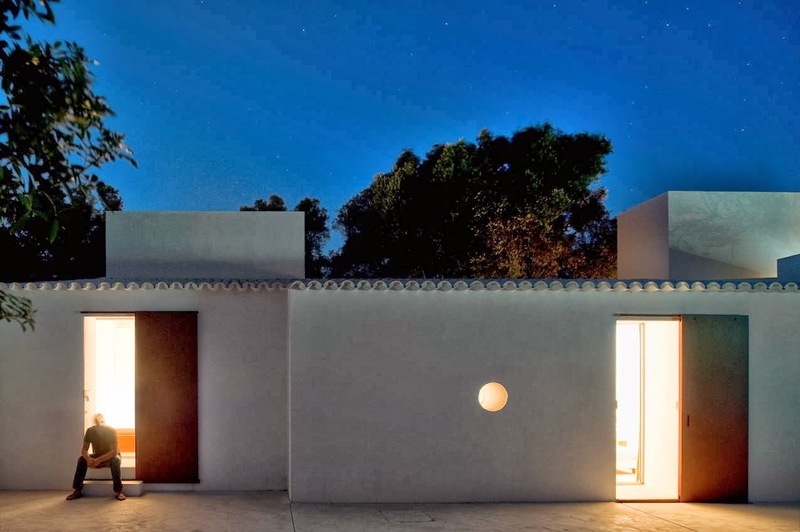 House of Agostos, located in Santa Barbara-de-Nexe, Faro, Portugal, was completed in 2011 by Lisbon based Pedro Domingos Arquitectos. 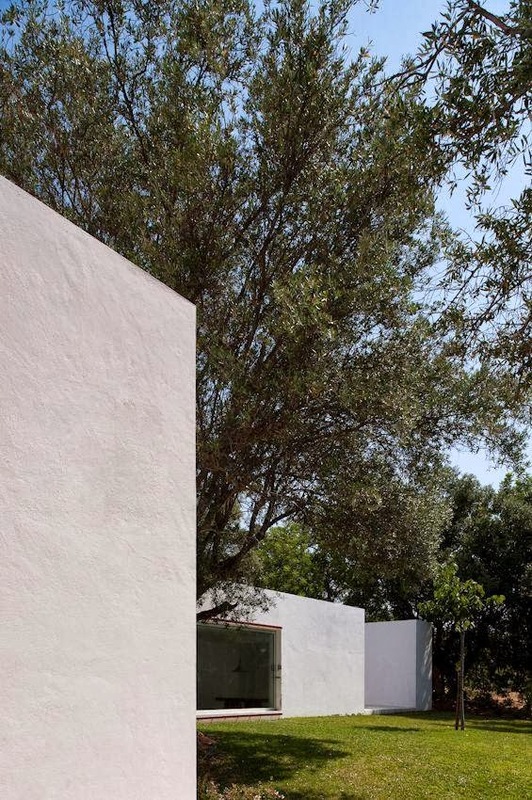 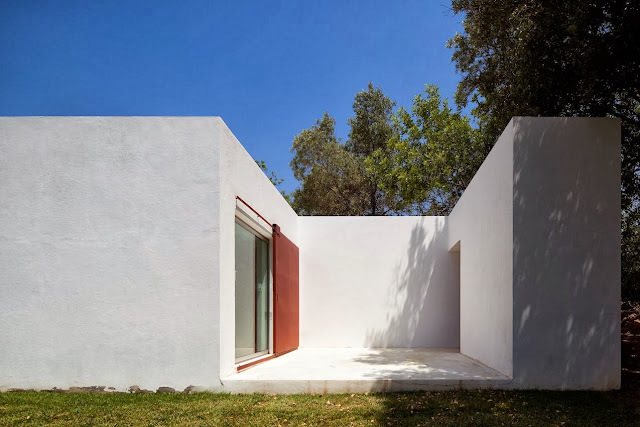 A central outdoor space is enclosed by a reconstructed vernacular pre existing house and the new wing that merges with the topography and extends in two patios. 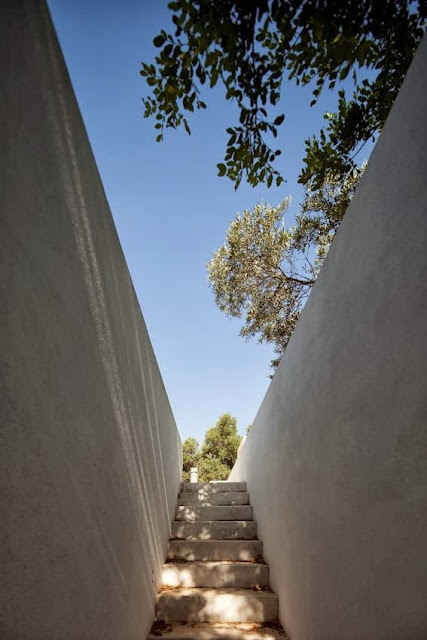 The resulting space is a synthesis of pure forms, voids and nature. 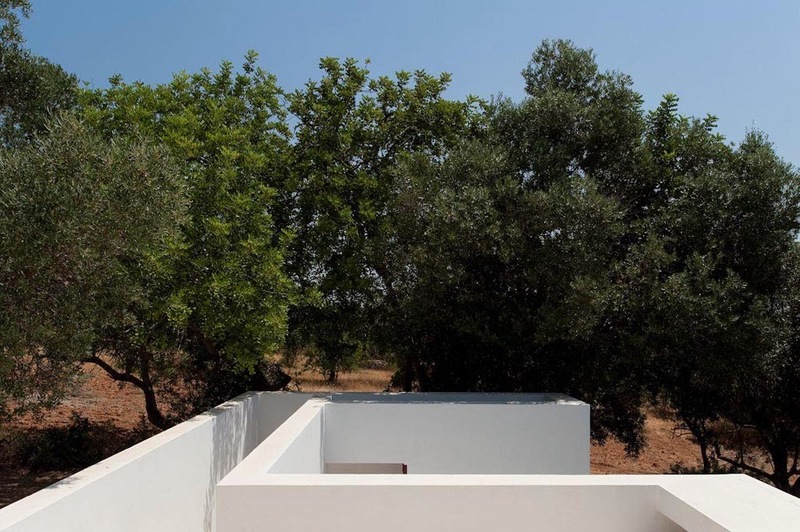 The transformative substance of this project consists of a parcel of land (950m2), that is integrated into the agricultural system of Barrocal and a small house in ruins (80m2). The ruin of traditional genesis, displays the characteristics of the vernacular architecture of the Algarve. 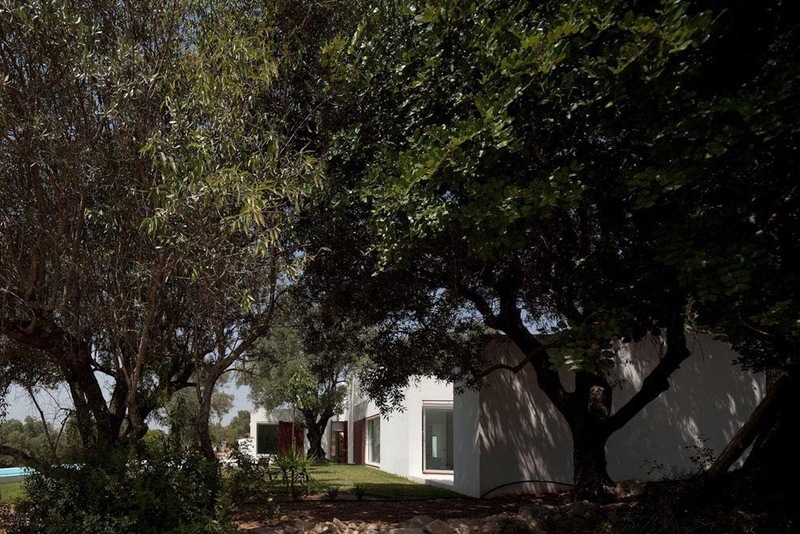 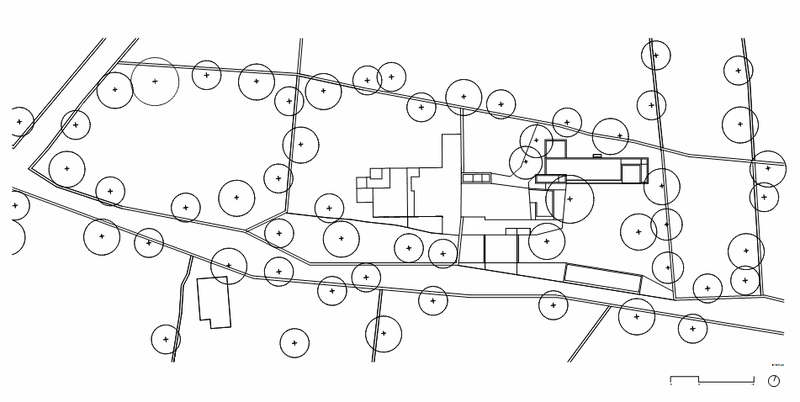 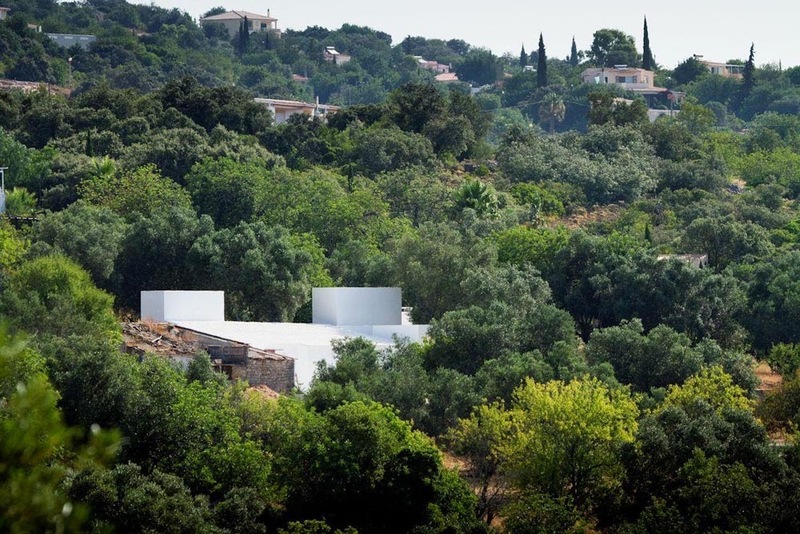 The strategy consists on clarifying the limits of the central space of property – a void enclosed by the ruin and the “hedges” and the upland trees. The clearing delimited of this emptiness is made with the recuperation of the existing ruin defining the western boundary, with the construction of a new wing set back from the existing group, establishing the northern boundary and the setting of a water tank at the south end of the plot. 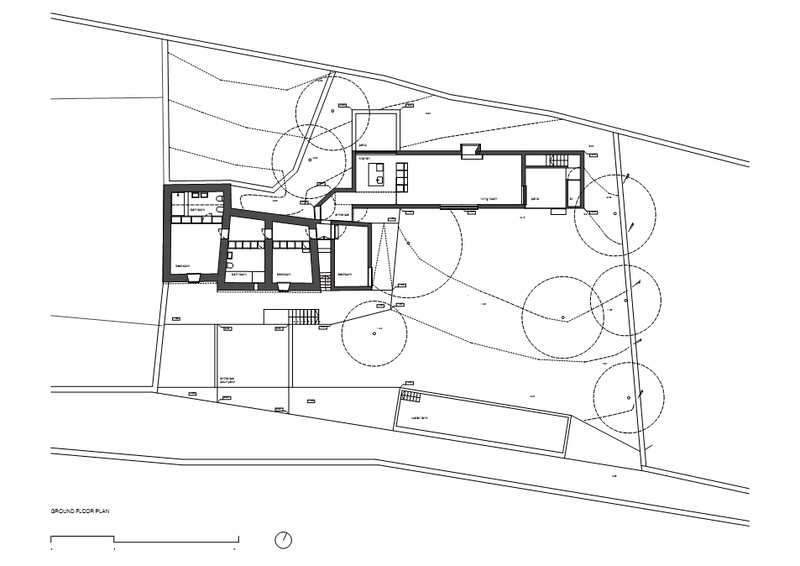 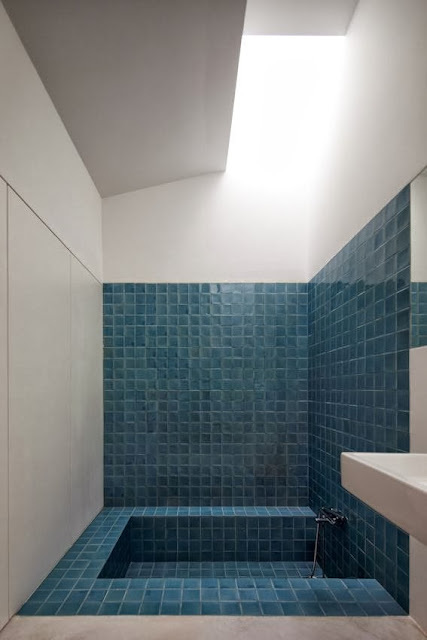 The pre-existing house consisting of three interconnected cells contains the rooms and their bathrooms. The north wing is built into the ground and articulates the topography with two built patios of similar proportions, one is a northern extension of the kitchen and the other a western extension of the living room. 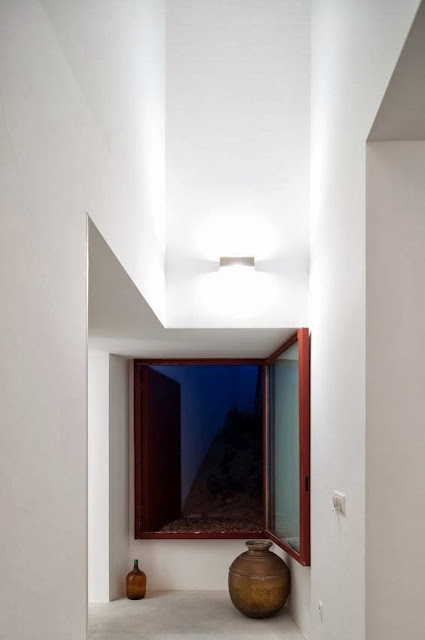 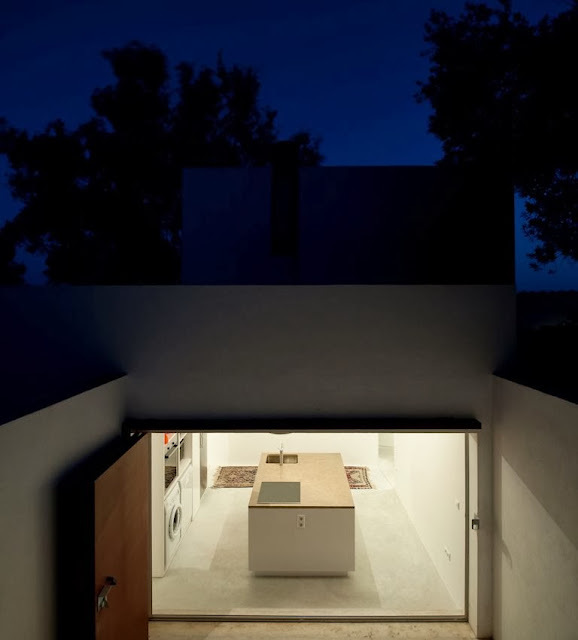 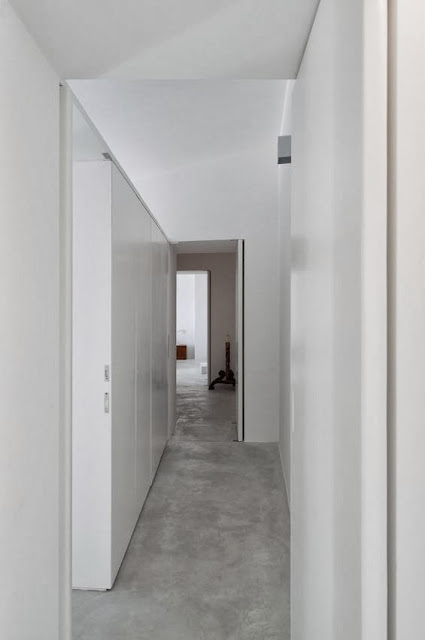 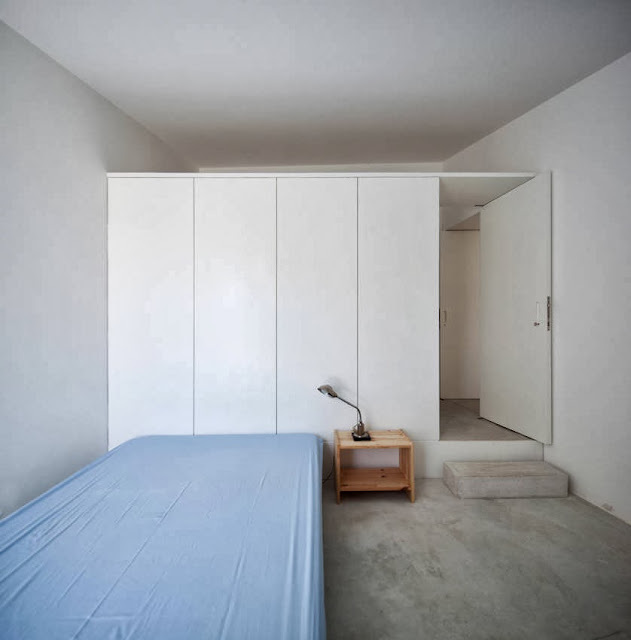 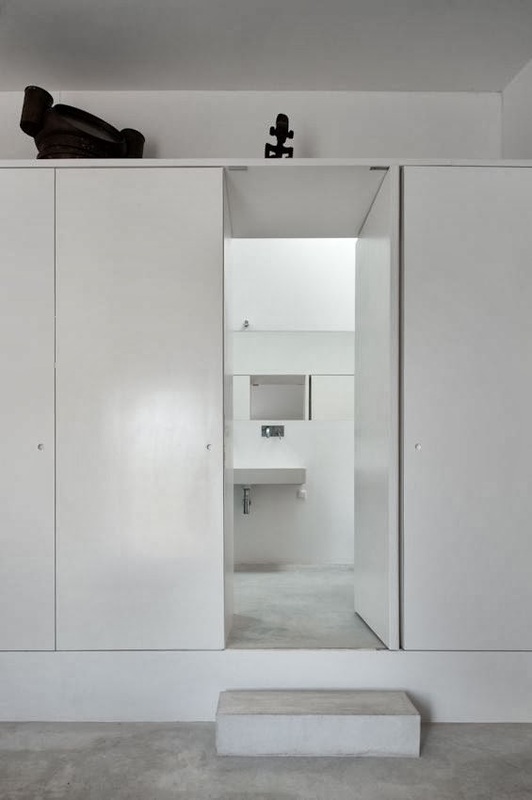 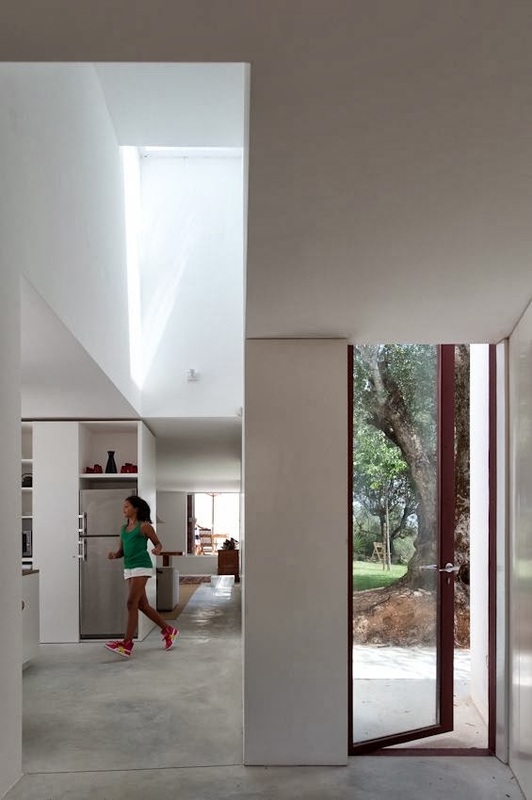 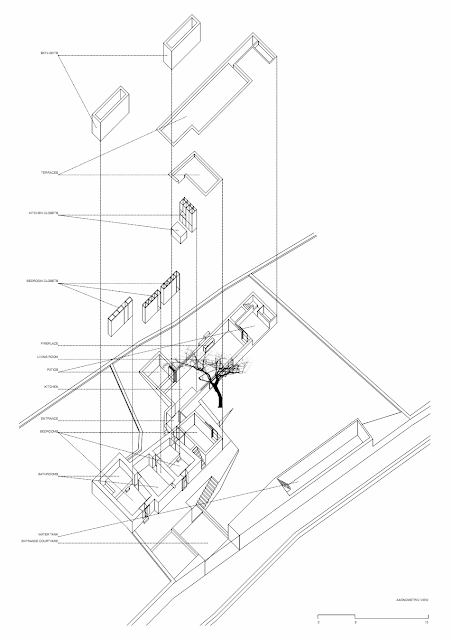 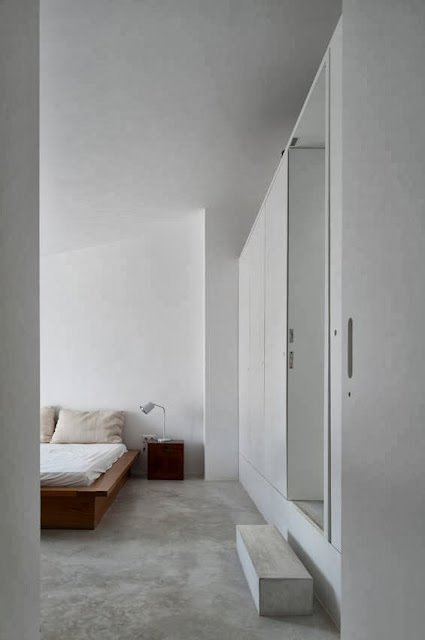 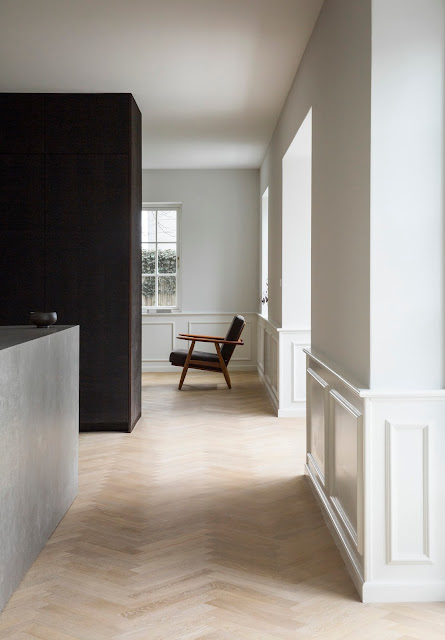 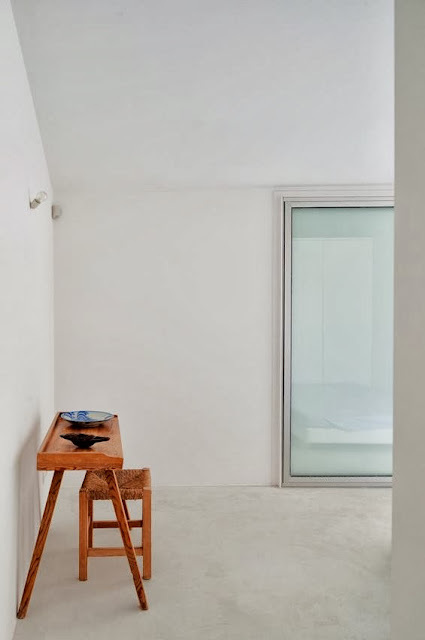 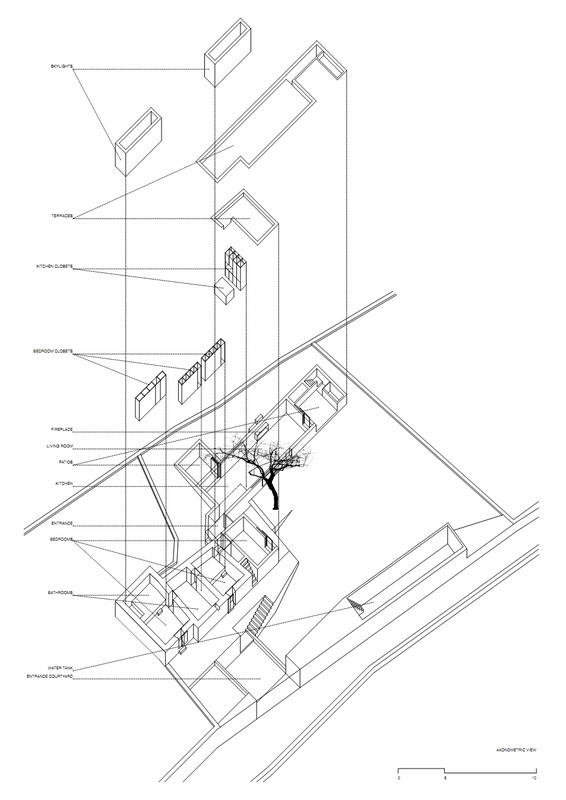 The main entrance of the house is made through the space that lies between the pre-existing house and new wing – a space of transition and fracture between the two wings. 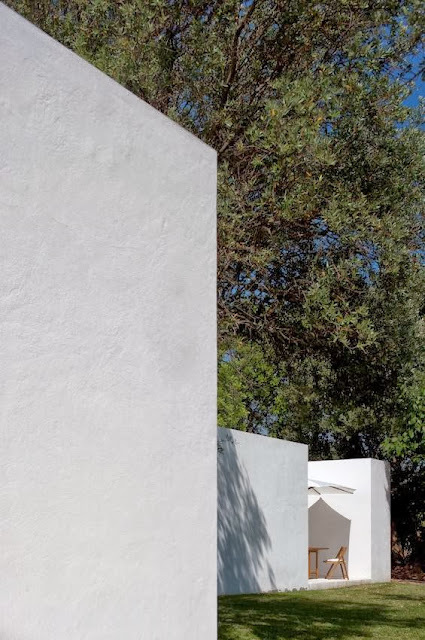 The water tank is built similarly to the abundant irrigation tanks of this region. A water container of pure form emerges from the ground.